About 40 people are packed in what looks like an old warehouse space in Downtown Los Angeles. Beams and insulation are exposed overhead. Everything is white, from the sofas to the brick walls. The room goes from pink to purple thanks to color-changing lights, in step with the hip-hop playing. 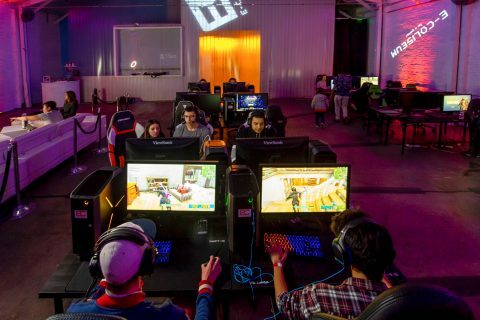 The South Park spot has only been open about a month, but Trojan co-founder Rustin Sotoodeh expects about 70 gamers to come out tonight for the “Fortnite Friday” tournament. The video game recently got mainstream notoriety when rapper Drake was seen playing it, with hundreds of folks streaming in to watch. 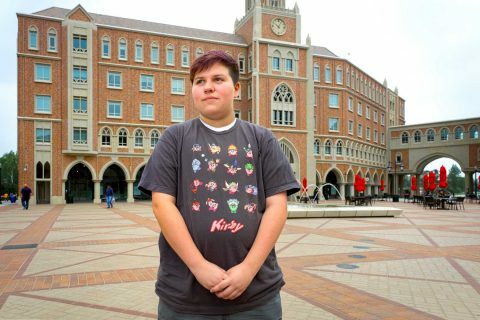 “Last week, when we did [Fortnite Friday], there was a line around the block,” Sotoodeh said, a graduate of the USC Marshall School of Business who started the business with his friend Kha Lu. 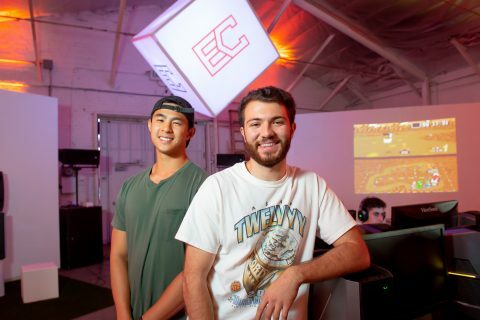 How the pair ended up founding E-Coliseum is surprising, since Sotoodeh didn’t even consider games as a career option until he crossed paths with a USC Marshall entrepreneurship expert. 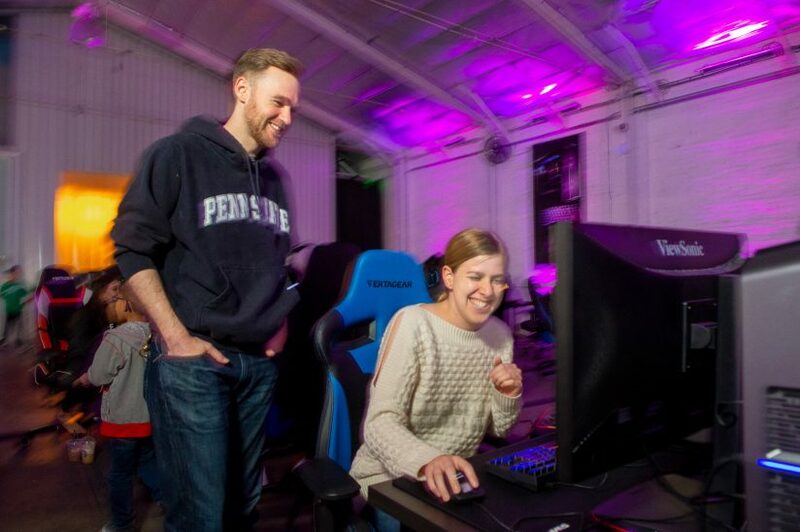 At E-Coliseum, gamers can either drop in or become members for a $40 monthly fee that gets access to top-of-the-line gaming equipment, such as Dell’s Alienware. “Alienware is like the Nike of gaming,” said Sotoodeh, 22. All the equipment — from the fancy Vertagear gaming chairs and Cooler Master surround sound headsets to ViewSonic monitors — is sponsored. The players line up in rows and enter the game at the same time, 8 p.m., competing for $100 in cash. There’s a Nike Air Force 1 giveaway, an artist customizing them at a table nearby. A pro gamer plays live from the lounge, streaming to folks around the world. Sotoodeh pointed at a gamer near him: “Look, this guy is wearing Yeezys and playing Fortnite.” Sotoodeh himself was wearing the pricy Adidas sneakers that run for up to $800 a pair. A decade or so ago, you might have gone to an internet cafe to play Call of Duty alongside friends. Sotoodeh said E-Coliseum is doing something different. 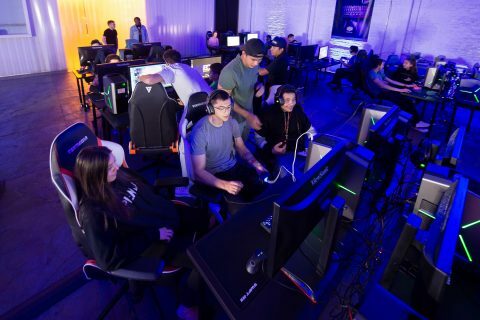 Participants can enter tournaments, hire trainers and even meet esports influencers like social media star Rachell “Valkyrae” Hofstetter, who recently did a meet and greet at the space and played Fortnite live, streaming it out. E-Coliseum is definitely tapping into something. Los Angeles has two professional esports teams, the Los Angeles Gladiators and the Los Angeles Valiant. They’re part of video game maker Blizzard Entertainment’s Overwatch League; they’re modeling it after traditional sports leagues and even have investors like New England Patriots boss Robert Kraft. Staples Center and USC’s Galen Center have hosted esports events, with thousands buying tickets to see gamers play live. Actor Joel McHale is playing in a celebrity tournament this month. 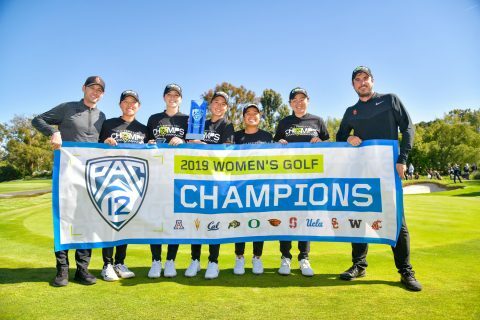 The University of California, Irvine and the University of Utah have esports teams, the latter declaring it part of the school’s athletic program — with scholarships available. In high school, Sotoodeh, who grew up in Tustin, played Super Smash Bros. competitively, hosting mini tournaments with friends. Sotoodeh didn’t even know esports was a career path until he met Anthony Borquez, a USC Marshall adjunct professor of entrepreneurship. And interestingly enough, it started with a pair of Yeezys. Sotoodeh, who sells high-end sneakers, was taking one of Borquez’s entrepreneurship classes and noticed the professor had nice sneakers. He started selling him shoes and asking him about his gaming company. 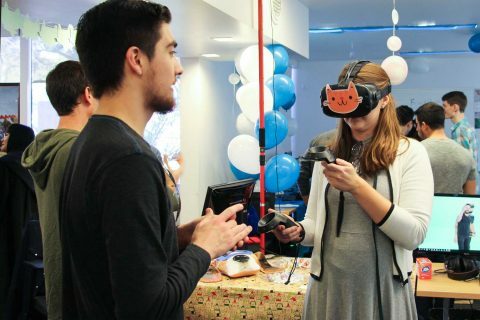 Eventually, he got the chance to work at Borquez’s AR/VR company Grab Games and learn about the industry. It brought Sotoodeh back to that question — about having a community for gaming. Sotoodeh got the initial money to start E-Coliseum in 2017, winning $10,000 at USC’s New Venture Seed Competition, hosted by the Lloyd Greif Center for Entrepreneurial Studies. 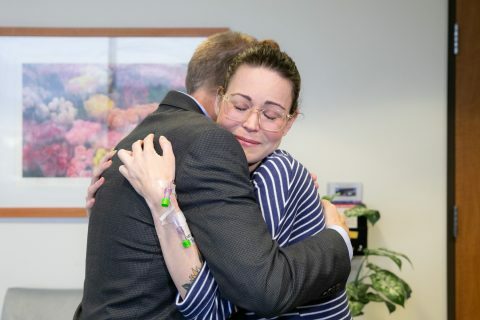 “My mom jokes … I was destined to open a place like this,” Sotoodeh said. “In elementary school, I would bring my Nintendo GameCube and I would charge people to play Super Smash Bros. at school. 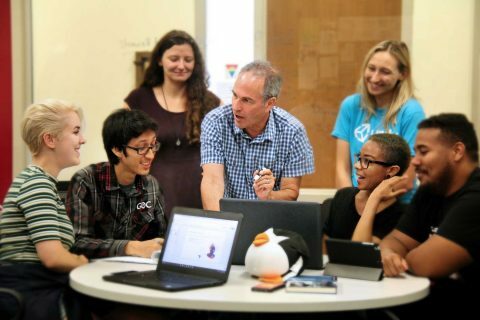 Executives, gamers and professors turn out to find the next big thing demonstrated by students at the USC GamePipe Laboratory. Mattie Rosen grew up loving video games, and now wants to work to see minorities and marginalized communities better represented in them. 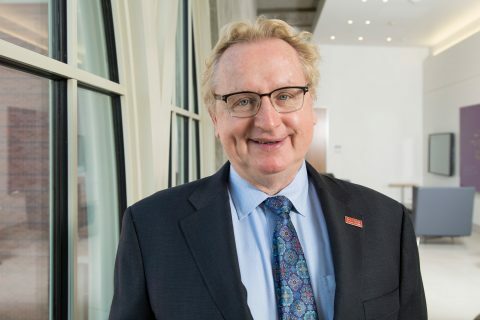 The gaming industry expert will continue to lead the Advanced Game Project, the division’s yearlong flagship class in which graduate students create a complete game. 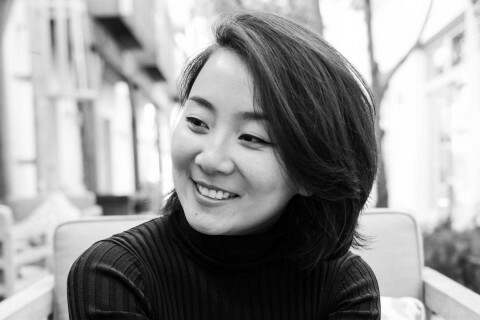 Alumna Marie Lu left her academic pursuit of law and medicine to focus on gaming and writing.